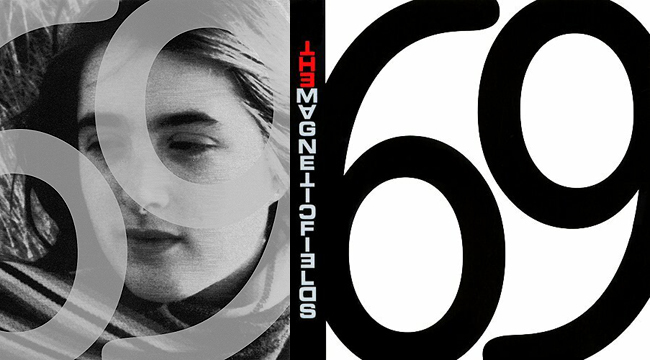 For Every Season and Sentiment: Magnetic Fields' "69 Love Songs"
We’ve reached the 13th anniversary of the Magnetic Fields‘ landmark release, 69 Love Songs, and – after many recent listenings – it occurs to me this 3-CD set could use a reappraisal. When it initially came out in 1999, I had so much happening in my own little world that I overlooked the multiple charms, sorrows, joys and existential brilliance contained within this collection. Thus, this is practically my first listen (and certainly my first appreciation). It’s one of the most guileless, naked collections of songs I’ve ever heard. It’s also one of the most cleverly assembled. “Do I need to listen to all 69 tracks?” you might ask yourself. Of course not. But why not? If you don’t, you’ll miss lyrics and songs that will make you smile, weep, sign, sob and marvel. They’ll make you envious, wistful and morose. 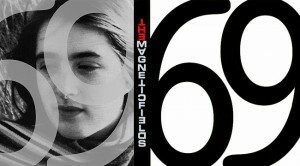 69 Love Songs islike a good ensemble film. Its author Stephin Merritt is akin to a writer-director and has surrounded himself with a great cast: not necessarily the most-talented or best-known musicians in the world – although they are talented – but the best artists for the job. The sum is greater than the total of its parts. And like a good film or any work of art – a book, a play, a piece of musical theater (one reported source of inspiration for Merrit) – 69 Love Songs is comprehensive and substantive enough to reveal new discoveries with each listen. This week, with Pacific Northwest winter striking full force, I am particularly relating to lyrics like: “There’s one hour of sunshine for a million years of rain but somehow that always seems to be enough” (“Sweet Lovin’ Man”) and “Since you went away, it’s nighttime all day and It’s usually raining too” (“I Don’t Believe in the Sun”). Next week (or next season), I might be parsing other lyrics. Depending on your mood, relationship status, geographical location, attention span, etc., you may have a new favorite song every week, too. But you really don’t want to be without 69 Love Songs.